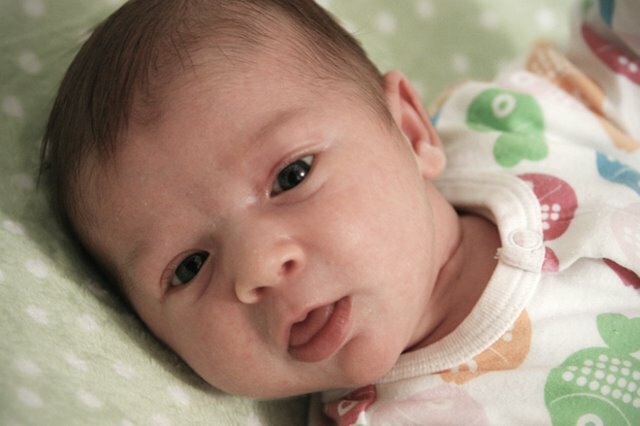 "I'm 3 weeks old today, you know." Soooo...Miss Maya?? Are you ready for your modeling debut, Miss Cutie Patootie!!? And cute as a pink button! Happy three weeks little tiny! soooooooo cute! Love da little chin! Maya is adorable! We still say "hiya kaia" all the time! It helps people remember how to pronounce her name since we spelled it differently! 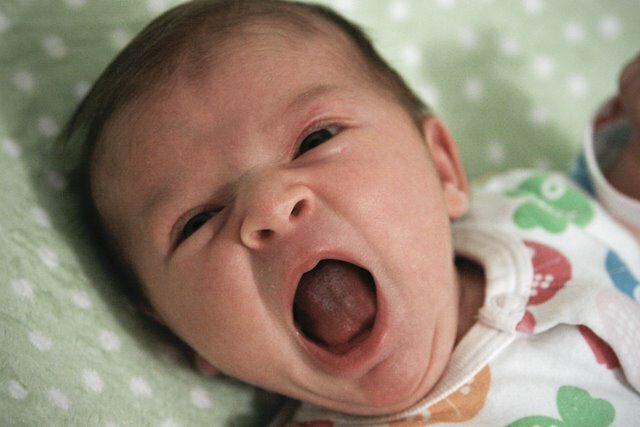 And I have a pic of Kaia at 3 weeks old with her mouth opened just like that. It is that picture that gave her one of nicknames....birdie! Her other ones are Kaia Papaya and KaiPie....I'm sure Kaia and Maya will end up with a few of the same! And Finn's drawings are great. Have you introduced him to play doh yet? A good hour or so of entertainment....totally worth the 20 minutes it takes to clean up the mess! Finn just tries to eat the play dough at this stage. So I am going to wait a little longer. He thinks it's a cousin to the gummy bear. Ha!